Give Dry Skin a Treat With Our New AA Skincare Essentials Range - Amphora Aromatics Ltd – Supplier of pure essential oils and aromatherapy Products. and how you can help moisturiser, hydrate and rejuvenate you’re skin with an easy at home facial using these fabulous products. Made using our best-selling blend, our new Frankincense & Rose range has been created to help nourish and hydrate skin, perfect for mature, dry skin. This intensely hydrating cleanser contains rejuvenating Frankincense Essential Oil that helps to tighten skin and slow down the signs of ageing. Rose works to strengthen and protect skin with antioxidants to help heal damaged skin. With Geranium Essential oil to help keep skin supple and Aloe Vera Extract to calm and sooth skin. To use: dampen your skin with warm water then pump a small amount of the cleanser into the palm of your hands. Gently massage the cleanser into your skin using a circular motion, concentrating on any areas that feel like they need a little extra attention like the nose and chin, then rinse with warm water. 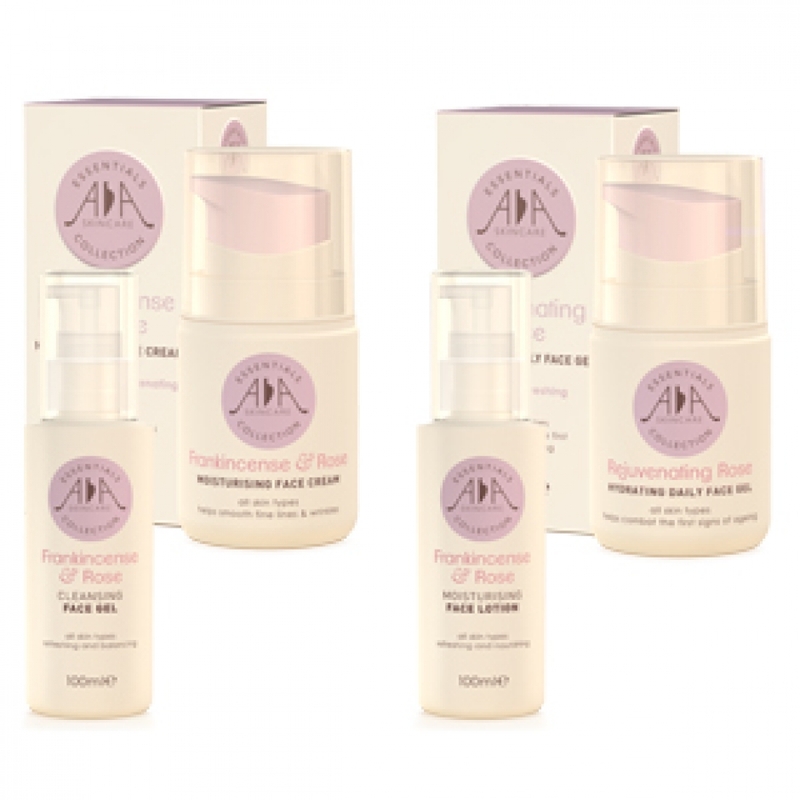 Our gorgeous Rejuvenating Rose Gel is perfect light weight gel for use under your daily moisturiser. This easily absorbed gel penetrates skin gently hydrating and replenishing. With Comfrey, Lavender and Rose Geranium to help sooth and calm skin and Carrot Seed Oil to regenerate. To Use: Apply a small amount to finger tips and gently smooth over clean, dry skin. Can be used morning and night before you apply your moisturiser. Our best-selling Frankincense and Rose Moisturising Face cream is now available with increased antioxidant and hydrating ingredients like Argan Oil and Vegetable Glycerin and now with soothing Lavender and anti-inflammatory Comfrey making it perfect choice for dry and mature skin. Now available in a lighter version, our Frankincense and Rose Face Lotion contains all the same great rejuvenating and hydrating properties as our cream but in a lighter lotion that is perfect for summer! This gorgeous light weight lotion contains rejuvenating rosehip seed oil that is high in vitamin C and Sunflower Oil that is pack full of vitamin E that helps to lock in moisture. Simply apply a small amount to your fingertips and massage into skin. These super easy steps are the perfect way to give your skin a much needed boost and help it look and feel nourished and radiant.